Chart No. 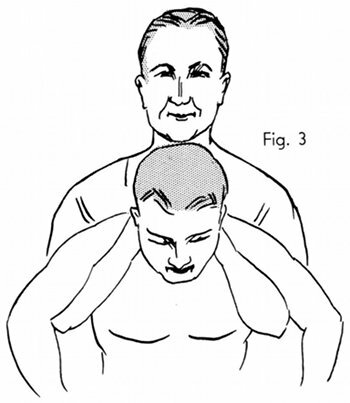 50 - Successive Moves of a New Upper Dorsal [Thoracic] Lift for Anteriority and Relaxation When Indicated. 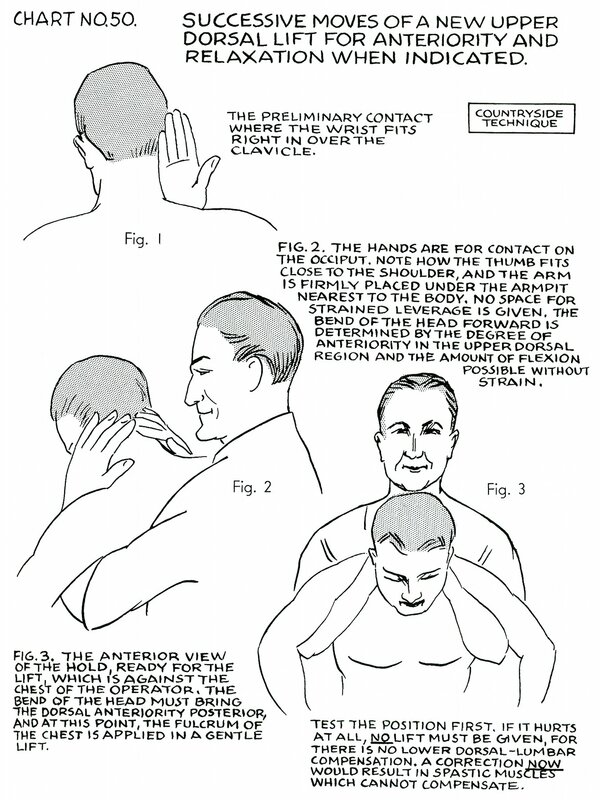 The preliminary contact where the wrist fits right in over the clavicle. Fig. 2. 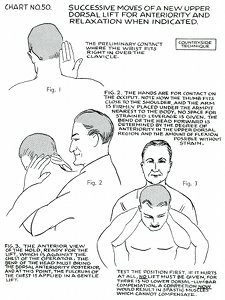 The hands are for contact on the occiput. 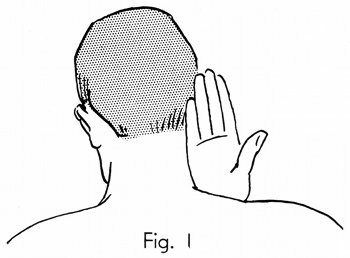 Note how the thumb fits close to the shoulder, and the arm is firmly placed under the armpit nearest to the body. No space for strained leverage is given. The bend of the head forward is determined by the degree of anteriority in the upper dorsal [thoracic] region and the amount of flexion possible without strain. Fig. 3. The anterior view of the hold, ready for the lift, which is against the chest of the operator. 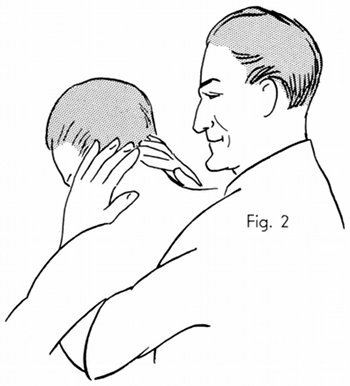 The bend of the head must bring the dorsal [thoracic] anteriority posterior, and at this point, the fulcrum of the chest is applied in a gentle lift. Test the position first. If it hurts at all, no lift must be given, for there is no lower dorsal-lumbar [thoracolumbar] compensation. A correction now would result in spastic muscles which cannot compensate.